The 1973-79 Ford Truck TruMOD A/C Kit uses the Vapir II Compact Climate Control System with A/C & Heat with Infinite Blend between Dash, Defrost/Floor. The Vapir II was designed to install on a smooth firewall in tight spaces. What is TruMod you might ask? Trumod air conditioning systems are “Tru” to the specific make and model yet easily “modifiable”. 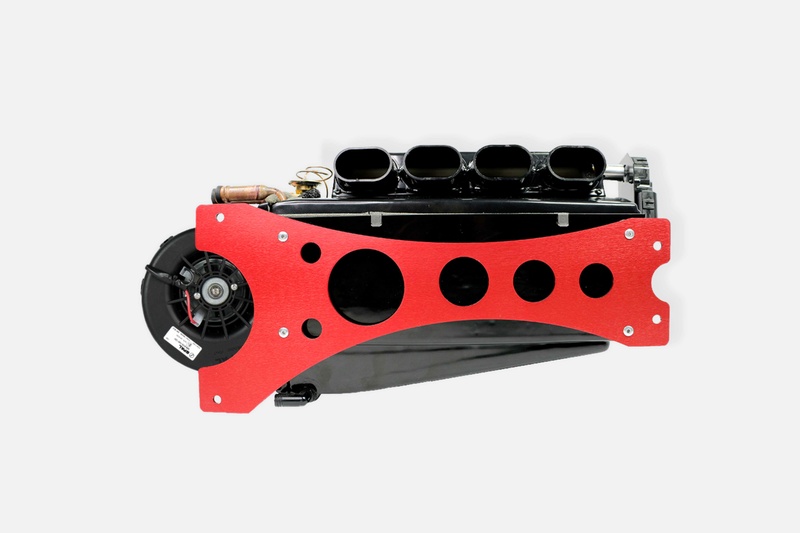 With your TruMod Ford Truck System, you literally get the best of both worlds, giving model specific parts with the ability to customize your installation. Your Ford Truck TruMOD system comes with Satin Stealth Classic A/C Controls. Precision CNC Machined 6061/T6 Aluminum these controls come with a Mylar decal that indicates what position you are in at all times. That’s not all , your TruMOD A/C kit also comes complete with specifically engineered condenser kit, featuring a condenser with pre-engineered brackets and tubes with drier, pressure switch, and refrigerant hoses (all of our refrigerant hose fittings come black as standard equipment) Our TruMOD kit also comes with a Models specific Engine bracket and Sanden compressor.